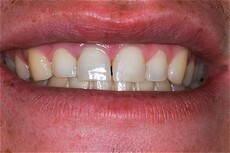 25 year old female presented with a severely discolored front tooth as a result of trauma and root canal 12 years earlier. 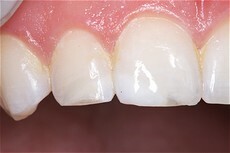 The tooth has been restored using a Porcelain Fused to Gold crown. A PFG crown was ultimately placed due to the superior color match. The original choice was 3M Lava crown (Porcelain fused to a zirconium coping) however the shades of Lava porcelain could not create this chameleon effect. 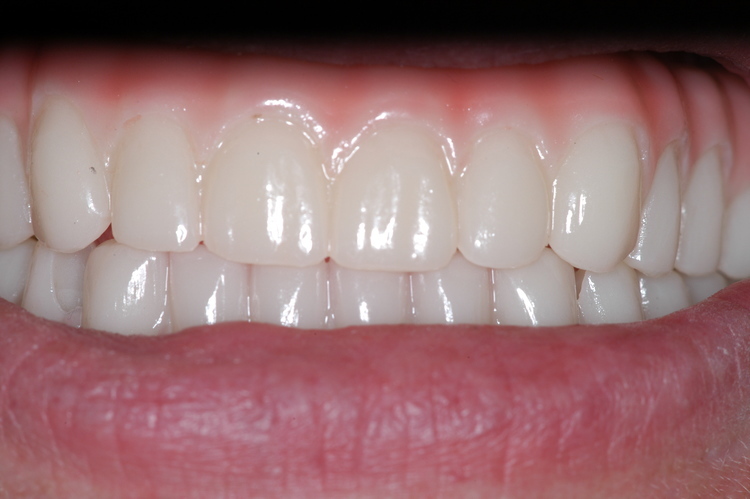 The ceramist on this, as all of Dr Johnson's anterior porcelain cases was Dennis Ouye, CDT of LDL Designs, Inc. Berkeley, CA. This is a complex case. 32 year old male presents for restorative consultation at the request of his physician. The patient was injured on the job. The severity of the injury resulted in the patient being on chronic opioid (narcotic) pain medication. This resulted in depressing the patient's saliva production (dry mouth). 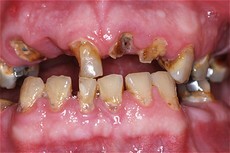 The dry mouth side effect has caused rampant decay. Here are photos how he first appeared in my office. The treatment plan consists of the surgical removal of all his remaining teeth and the placement of freeze dried bone in the tooth sockets. 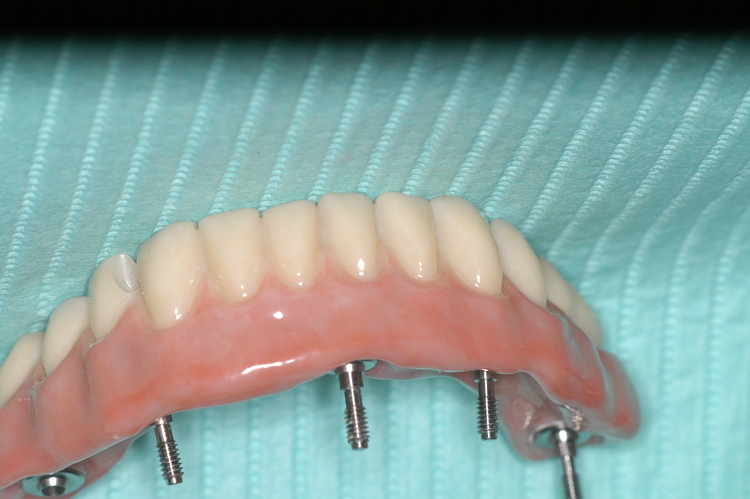 Immediately after the initial surgery, the patient will receive an immediate upper and lower complete denture. After 4 months of healing, a 3D Volumetric Cone Beam Image will be made. The digital information will be sent to Nobel BioCare for fabrication of a custom implant surgery guide stent. 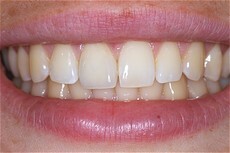 The patient will then receive 6 maxillary and 5 mandibular implants. 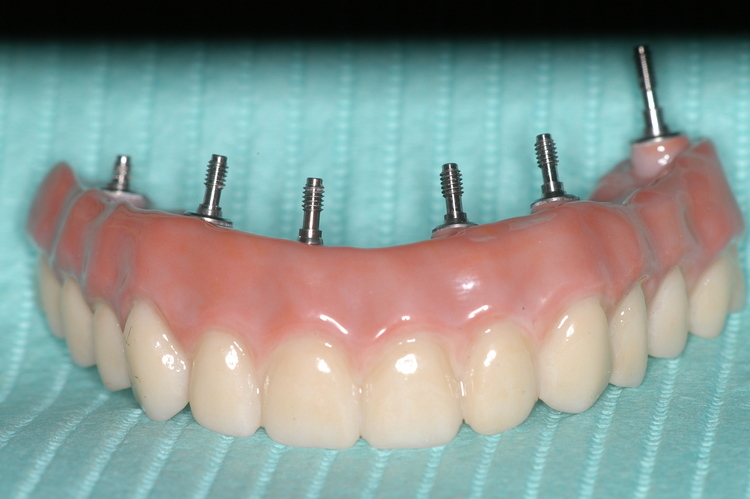 After healing, the patient will receive a new maxillary (upper) and mandibular (lower) screw retained, cast titanium framework, implant supported fixed denture . 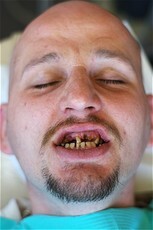 Here is the 32 year old pain management patient shortly after his full mouth extraction surgery. 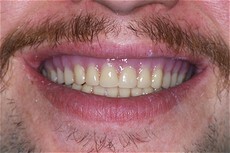 He just had 26 teeth removed.......he has not looked this happy and vibrant in years. 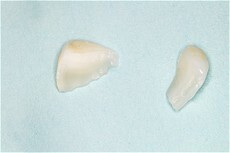 The patient will have 11 implants placed in about 5 months. 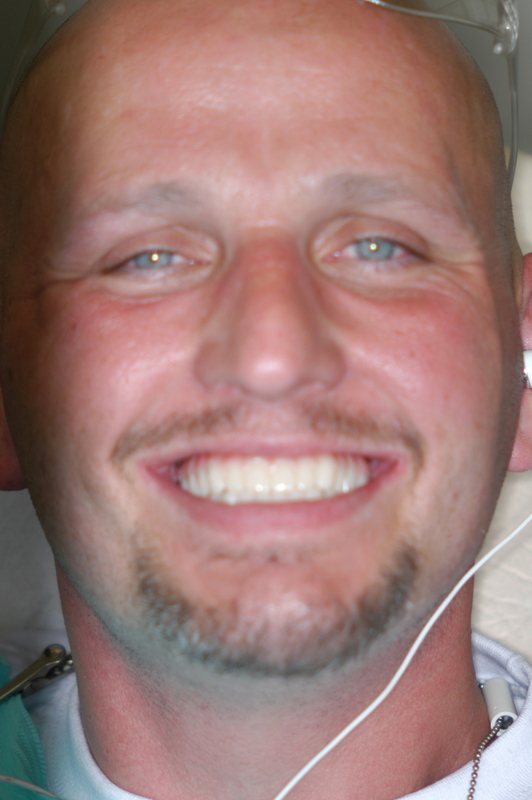 The surgeon on this case is Bryan Krey, DMD of Berkeley Oral Surgery. Dr Krey placed 6 implants on the upper and 5 implants on the lower. After sufficient healing and integration, they are ready for restoration. The appliances were screwed onto the implants and the patient was fully functional and handsome again. A Cal Baseball player was struck in the mouth with a baseball. 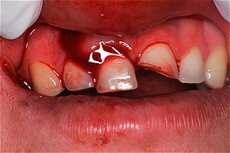 The force fractured off one of his teeth as well as displacing three others. The team certified athletic trainer had the presence of mind to find the broken off tooth segment, place it in a Save-A-Tooth container and send it with the athlete to the dental office. After evaluating the athlete for any signs of mild traumatic brain injury (concussion) and noting none, the athlete was then treated for his dental injuries. 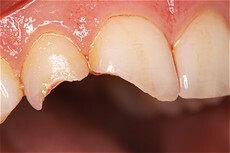 The displaced teeth were placed back into position, the bleeding was stopped and the broken tooth segment was reattached using advanced dental bonding techniques. 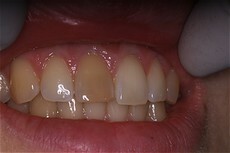 Here is the same patient 5 days later. Can you see where the fracture line is above? Female Cal Lacrosse player presented with two upper right front teeth fractured. The athlete brought the separated fragments with her to the office in a glass of water. 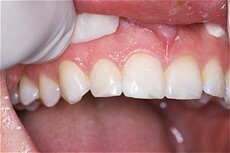 Both the segments and the fractured teeth were cleaned with an antibiotic rinse, then prepared using advanced dentin and enamel bonding techniques. Cal Women's Lacrosse player after two fragments were reattached..
Yeh, I agree. It's pretty darn nice. 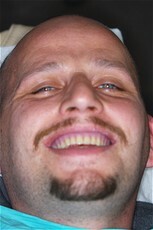 The small void at the biting edge of the front tooth was filled in and polished after this photo was taken. As luck would have it, the battery died in my camera. A follow up photo will be added in the future.